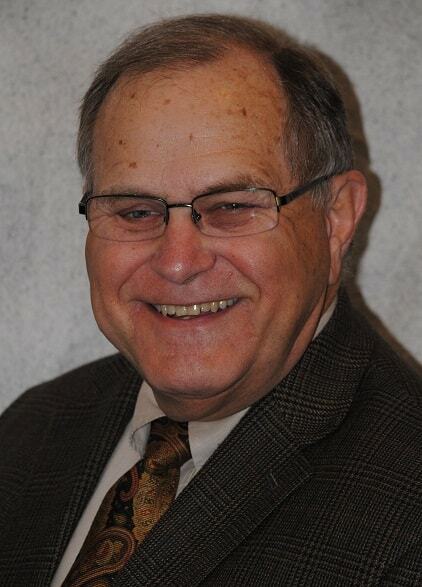 Mr. Ghertner founded Ghertner & Company on January 8, 1968 and grew the company from one person with one property to manage into one of the state’s largest management companies. He retired in 2002 and works part-time as the assigned property manager on investment properties in which he has ownership interest along with some fee managed investment properties. Scott graduated from the University of Texas in Austin Texas in 1989 where he received his Bachelor of Business Administration with a specialization in Real Estate and Urban Land Development. He worked for two years at Trammell Crow Residential in Atlanta, Georgia before returning to Nashville to work at Ghertner & Company in 1991. In 2002, Scott and his brother assumed ownership and management of Ghertner & Company. Scott's focus at Ghertner & Company is development of new business and management of current clients and community association portfolio managers. Scott was the 1998 president of Greater Nashville Chapter 71 of the Institute of Real Estate Management. He served as the 2001 president of the Tennessee Chapter of the Community Associations Institute (CAI). He currently serves on the Legislative Action Committee for CAI. Steve graduated from the University of Texas in Austin Texas in 1986 with a BS degree in electrical engineering. In 1988, he earned his Masters of Science in Management from Georgia Institute of Technology and completed the Graduate Certificate Program in Computer Integrated Manufacturing Systems. Steve worked from 1987 through 1993 at the Clorox Company as a Senior Engineer where he was responsible for the electrical and computer control systems for a continuously operated industrial facility. 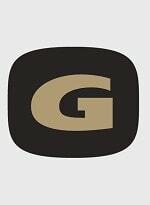 In 2002, Steve and his brother assumed ownership and management of Ghertner & Company. 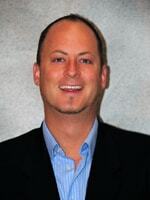 Steve’s focus at Ghertner & Company is company operations and management information systems. Frank earned his BA in Business Administration from Bellevue University and his MS in Systems Management from the University of Southern California. He has over twenty years of customer service management experience. Frank worked across a range of industries from financial firms to consumer products following his military service in the United States Air Force. He joined us in August 2010 and oversees the Homeowner Service Center which provides front line service to homeowners across all properties managed by Ghertner & Company. Frank also leads our team of Community Administrative Assistants who provide support to our Community Association Managers, Board members, and homeowners. Stacy Adams graduated with honors with a BS in Management from Park University, and earned a Masters in Human Resource Management with honors from Webster University. For over 30 years, she has worked in business and human resource management: first with the US Air Force, and later in the financial and manufacturing sectors. She is an independent consultant, and designed the Human Resource Management textbook which is utilized in Bethel University’s undergraduate and graduate Human Resource degree programs. Since 2005, Stacy has been a National member of the Society of Management for Human Resources (SHRM), and she has been an active member of Middle Tennessee Society for Human Resource Management (MT/SHRM) since 2011. Stacy currently serves on the Board of Directors for the Duck River Society for Human Resource Management (DRSHRM). Stacy joined Ghertner & Company in 2015. Ms. Sutherland graduated from Nazareth College of Rochester with a BA in Political Science, and earned a Diploma of Advanced Studies in Political Science at Manchester University, in England. Prior to joining Ghertner & Company, she worked in codes administration in Rochester, N.Y, and in Metropolitan Nashville/Davidson County. She was introduced into the world of community associations through her condominium Board of Directors in Nashville, where she served on the Board for several years. Her experience in community association management includes site management of a mid-sized condominium property, and portfolio management, with a specialization in condominiums. She has been active in the Tennessee Chapter of the Community Associations Institute (CAI) since 2000, has served on its Board in various capacities including as President. 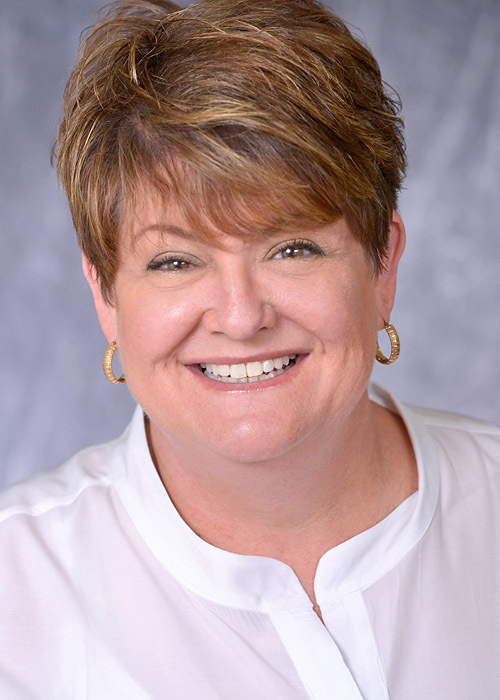 Ms. Wills, a graduate of Tennessee Technological University with a major in accounting, joined Ghertner and Company in 1986 as head of accounting services in the apartment division. She oversees the accounting for the corporation and the investment properties managed by Ghertner & Company. Ms. Winkler, a graduate of Belmont University with a major in Accounting joined Ghertner & Company in 1986 in the Finance/Accounting department. Since that date, she has risen to head of the community association accounting division, where she oversees the accounting and Finance/Accounting and administrative services to the condominium and homeowner associations managed by the firm. Betsy Edgeworth graduated from Lipscomb University with a BS in Accounting with a Minor in Management. She has been the Controller for DVL Siegenthaler and for Digiscope, and was the Manager of Financial Analysis at American Color Graphics. Betsy joined Ghertner & Company in 2016. Jaye Kloss joined Ghertner & Company in 2007 as a Community Association Manager. Jaye studied Business Management at San Diego University. She has over 16 years of property management experience in the Nashville area and has a strong financial/accounting background. Jaye was promoted to Director of Training & Compliance in 2016 at Ghertner & Company. Deborah joined Ghertner & Company in 2005 as an assistant to the Community Association Managers, and had the additional responsibility of managing one condominium community. Early in 2010, she was promoted to a full time Community Association Manager. Deborah attended Tennessee State University and has over twenty years experience in administrative support. She served as Office Administrator for the General Board of Higher Education and Ministry for over twelve years. Rebecca Massaro attended the University of South Florida, and was a Licensed Community Association Manager in Florida for 12 years before moving to the Greater Nashville area. She joined Ghertner & Company in 2016. Angela Stone earned a Master's Degree in Chemistry from Tennessee State University. She has over ten years experience in accounting and four years experience in the hotel industry. Angela joined Ghertner & Company in 2016. Scott, a graduate of Pennsylvania State University, worked for 27 years in the hospitality industry in various roles, manager to executive management at Marriott Corporation. Scott is committed to customer service and is experienced in facilities management. LaToya Carruthers is a native of Indianapolis, Indiana, and graduated from Harrison College with a degree in Accounting. She worked with First Advantage as Operations Supervisor for Fleet Services, and has more than ten years of customer service and accounting experience. Ms. Carruthers joined Ghertner & Company in 2014. Rick is a native resident of Middle Tennessee where he attended MTSU and studied plant and soil science. Rick has an extensive background in the hotel industry having earned the Certified Hotel Administrator (CHA) and CHS certifications. He joined Ghertner & Company in 2005. Todd joined Ghertner & Company in April, 2006. He has over ten years of experience in real estate and property management and holds certifications as a Certified Manager of Community Associations (CMCA®), and Association Management Specialist (AMS®) from the Community Association Institute. In addition, Todd also holds an active real estate license with the Tennessee Real Estate Commission. Because of Todd’s Realtor® background, he understands the importance of protecting owners’ home investments via proactive community association management. Todd strongly believes in promoting community wellbeing through communication and hands-on management. Rick Hollis, a graduate of David Lipscomb University (BS, Accounting), is a ninth generation Middle Tennessean and a native of Charlotte in Dickson County. His background includes service as both a Mayor and City Administrator in addition to vast experience in real estate development, sales, project management, and community planning. He is a former Vice President of the Tennessee Association of Realtors (TAR). Mr. Kidd joined Ghertner & Company in 2003 as a Community Association manager and has since earned the CMCA (Certified Manager of Community Associations) and the AMS (Association Management Specialist) designations. Mr. Kidd has over 30 years experience in the Hotel/Hospitality/Property Management Industry. Elecia joined Ghertner & Company in 2010. She holds a B.A. in Journalism/Marketing and Communications from the University of KY. Her work history includes six years of residential management, where she held CAM and CaPS certifications. Elecia moved from residential management to various hotel management roles for over ten years, working for various companies including Marriott. She has a strong sense of customer service and a desire for continuous improvement and education. Damon continues his property management career with Ghertner & Company after working for five years with The Magnolia Group, which was purchased by Ghertner & Company in 2011. Damon studied Business and Criminal Justice at Columbia State. As a native of Franklin, Damon is proud to manage some of his hometown's most stunning communities. He attributes much of his personal work ethic to his achieving Eagle Scout as a young man and continues to learn from the life lessons afforded him by the program. A fan of aviation, he worked diligently to gain his pilot's license at the age of 18, and continues to peruse and obtain various rating in this field. He is proud to share Ghertner & Company's goal of always offering the very best to the communities he manages. Henry, a native Tennessean, graduated from Emory & Henry College with a B.A. in Business and Accounting. He has been active in Real Estate and property management for over twenty years and is an active licensed real estate broker in Tennessee, Florida and Alabama. Before joining Ghertner & Company, he worked for Wyndham Vacation Resorts in property management for over seven years at such a locations as The Smokey Mountains, St. Thomas U.S.V.I., San Antonio, Texas and Nashville, TN. Henry currently services on the Board of Directors of the Tennessee Chapter of the Community Associations Institute. Janice Tantaris obtained a B.S. in Advertising and Marketing from Middle Tennessee State University and has more than twenty years of experience in the areas of marketing, accounting and operations. She began her career at Ghertner & Company in 2003, where she served as the legal liaison between HOA Board of Directors and attorneys pursuing legal action for the collection of delinquent association dues. Janice attributes her strong sense of customer service as well as her legal aptitude to having held the position of legal liaison for seven years. Also during this timeframe, Janice served as an adjunct property manager at various properties. In 2010, she was promoted to Community Association Manager and now manages a diverse portfolio of homeowners associations. Reggie earned his Business Administration Degree from the University of Tampa, Tampa FL, in addition to completing Graduate Management Courses at Jacksonville University, and graduating from the Walton Institute of Retailing. Reggie is a Certified Hotel Administrator (CHA). He served as Vice-President Dodds International; Airline and Airport Service Division; Director of Operations Drury Hotels; Vice-President/General Partner Charlestown Management Company; President New South ERA Real Estate; General Manager Sam's Club; Director of Operations at Johnny Walker Hospitality Group. 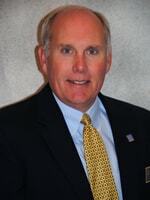 Bob graduated from Charleston Southern University with a BS in business management, and for 28 years worked in hospitality management for Crestwood Suites, Days Inn and Hotel Equities Group. Bob lives in Murfreesboro TN, and joined Ghertner & Company in 2013. Dorothy graduated from the University of Alabama with a BS in Human Resources Management. Prior to joining Ghertner & Company in 2014, she owned her own rental and association management business Dorothy has been very active in her community, and served on the Boards of Directors of several civic organizations where she earned various community awards and recognitions. Her career in condominium and association management spans 23 years. Jeff was born in Oklahoma and raised in Connecticut; he earned a BA in Communications from Michigan State University. Prior to joining Ghertner & Company in 2015, Jeff worked in the hospitality industry for over 30 years in management and IT, for the Hilton and Marriott brands. Kimberly Maynord , a native of Gainesville, Florida, earned an Associate's Degree in Business at Santa Fe State College. During her 15 years of senior management experience in the hospitality industry, she received several awards for superior customer service. Kimberly joined Ghertner & Company in 2016. Cynthia, who is a native of Nashville, credits her strong customer service ethic to her sucess as a community association manager. Prior to becoming a manager, she worked in accounting. Cynthia joined Ghertner & Company in 2016. Michelle Mubarak is a graduate of the University of Tennessee, where she earned a degree in Hospitality and Tourism. She has over six years experience in guest services management of timeshare resorts. She joined Ghertner & Company in 2016. John Knouff attended Wright State University, and has almost 20 years of customer service experience in the restaurant, hotel, and real estate/property management industries. He joined Ghertner & Company in 2016. Aaron Aguilar earned a BS in Hotel & Restaurant Management at Northern Arizona University. He worked for six years in resort management before joining Ghertner & Company in 2015. Danielle Hayes earned an Associate Degree at Edison State College in Florida, and was the office manager for a land development firm in Florida for 10 years. She joined Ghertner & Company in 2016. A Pennsylvania native, Sally earned certificates in Radon Testing and as a Certified Lab Assistant from the Pennsylvania Department of Environmental Protection. She worked for Todd Giddings & Associates as office manager before joining Ghertner & Company in 2013. Lisa joined Ghertner & Company in 2005, and serves as an Assistant to the Community Association Managers offering administrative support for the condominium and homeowner association managers. 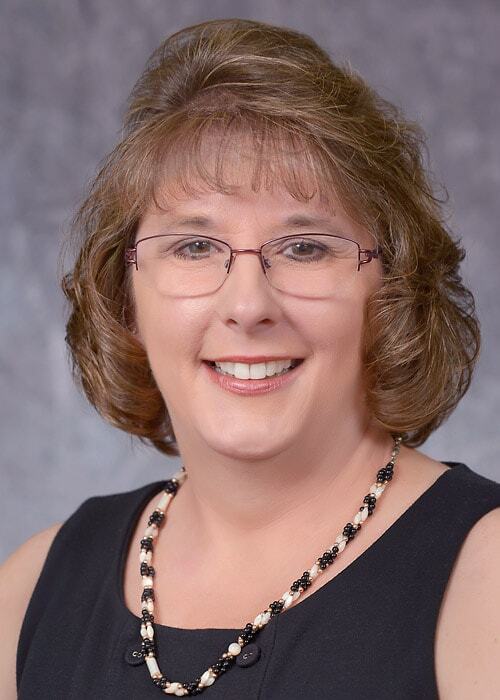 Lisa earned an Associates Degree in business administration from MTSU, and has over twenty years experience in administrative support, having previously worked over fourteen years with the Rutherford County School System. Theresa joined Ghertner & Company in 2010, and serves as an Assistant to Community Association Managers, providing administrative support for condominium and homeowner association managers. Theresa has over twenty years of administrative support experience in a variety of business industries including medical, legal and real estate. A native of Middle Tennessee, Stephanie attended Western Kentucky University before working in client billing and customer service. She joined Ghertner & Company in 2015. Michele earned a BA in English at Belmont University, and worked as an editor before joining Ghertner & Company in 2014. Erica has earned a BS in Sociology and a Masters in Public Administration from the University of Memphis. She had five years’ experience in residential leasing and property management before joining Ghertner & Company in 2014. An Illinois native, Kelly earned her BS in Mass Communication from Illinois State University. She worked as an administrative assistant and as an assistant in document management before joining Ghertner & Company in 2014. Demetria Nunley, a native of Lebanon, Tennessee, earned an Associate’s Degree in Paralegal Studies at Kaplan Career Institute. Demetria previously worked as an Escrow officer/Closing Coordinator and currently holds her TN Real Estate License. She joined Ghertner & Company in 2017. Karen joined Ghertner & Company in 2008, and is the on-site manager at Green Hills Terrace Condominiums, a 200 unit community in Green Hills in Nashville. Karen, who has earned an A.S. in Science from Hardin Simmons University, has over five years of residential property management experience. Angie joined Ghertner & Company in 2008, and is the on-site manager at The Enclave at Hillsboro Village, which is an upscale urban condominium mid-rise facility in Nashville. Angie holds a B.S. in Marketing from the University of Tennessee. During her tenure with Ghertner & Company, Angie has worked at several condominium communities, and this has given her a diverse property management experience. Margaret joined Ghertner & Company in 2007, and is on-site manager at the Governor's Club Property Owners Association. The Governor's Club is home to the Arnold Palmer designed golf course as well as over 600 acres of nature and Luxurious Estate Living. Margaret attended Piedmont Bible College and has over twenty years of business experience. Martha has held multiple property management roles at Ghertner & Company since she began in 1994. She is currently the on-site manager at The Adelicia, which is a prestigious high-rise residential, commercial and retail property in the Midtown district in Nashville. Martha studied Home Economics at Jackson State University, and has more than fifteen years of property management experience. A native of Upstate New York, Ann joined Ghertner & Company in 2014, when our company began management of the LaurelBrooke community. She has been the on-site manager there since 2011. 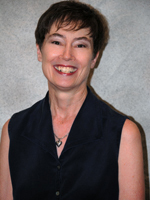 Prior to becoming a property manager, Ann worked for 13 years as a project manager for IBM. Ann loves walks on the beach and listening to the rain. Russell started at Ghertner & Company in 2002 in the accounting department as support to Theodora Winkler, and currently specializes in client receivables. Russell studied Social Sciences at Cumberland University. Prior to his career at Ghertner & Company, Russell worked for twelve years in management at a grocery warehouse where he developed his skills in communication and customer service. Rachel Brenner began her career at Ghertner & Company in 1994. She attended the University of Illinois where she studied Art, Speech Communication and Theater. Rachel has assisted in multiple areas throughout her tenure at Ghertner & Company, and currently has accounting responsibilities for the various apartment properties which the company manages. Kelly is responsible for financial reporting, banking transactions, and corporate business reporting for the community associations that we manage. She graduated from Middle Tennessee State University with a B.S. in Education, and has worked at Ghertner & Company since 2003. Rhonda, who earned her Associates Degree in Accounting from Volunteer State Community College, joined Ghertner & Company in 2008. She provides accounting and financial analysis assistance in the Finance/Accounting department. Genice began her career at Ghertner & Company in 1997. Her primary focus is facilitating all closing documentation for sale transfers in the company's portfolio. Genice also conducts Accounts Payable and Receivable duties for an assigned book of accounts. Kim, who holds a B.S. in Management from Stephen F. Austin State University, began her career at Ghertner & Company in 2007. She is responsible for financial reporting and processing for assigned Ghertner & Company accounts in addition to Ghertner Maintenance and Remodeling accounts. Beverly joined the Accounting Department in 2007 after being with Tennessee Imports as Office Manager/Bookkeeper/Purchasing Agent for thirteen years. She studied English at Cincinnati Bible College. Her current assignment is focused on processing welcome documentation for new home buyers and other financial responsibilities as assigned. A life-long Nashville resident, Schycheeree attended Nashville Tech and later Branell Business College, where she earned a Certificate in Secretarial Science. Before joining Ghertner & Company in 2013, she worked as an office manager at both Braun Construction and Fresh Start Restoration, where she specialized in collections and insurance claim processing. Jennifer is originally from Chicago, and is a proud graduate of the University of Phoenix, with a B.S. in Business Management. She specializes in Accounts Receivable and collections, and worked in the private health care field before joining working with Ghertner & Company. In 2014, she plans to resume her studies, and work toward her Masters in Business Administration. Judy is a life-long resident of Murfreesboro, TN, and attended Middle Tennessee State University. She joined the Accounting Department at Ghertner & Company in 1984, and then worked as a community manager for 12 years before returning to Accounting in 2005 as a financial assistant. In 2014, she celebrates her 30th anniversary with our company. Judy is a Master Gardener, and loves to hike in the National Parks. 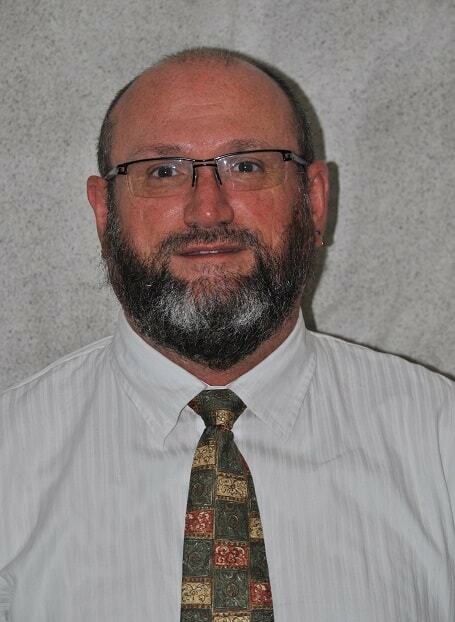 Roy, who is a native of Lebanon, Tennessee, has worked in residential property management for over 15 years. He joined Ghertner & Company in 2013 as an assistant apartment manager, and in 2015 was promoted to the Community Association Division as an Accounting Assistant. Jessica, a Jackson, Tennessee native, worked in the hospitality industry for over seven years. Jessica joined Ghertner & Company in 2015. Megan Baggett, a graduate of Springfield High School, worked in real estate for two years, and joined Ghertner & Company in 2016. Janna is a native of Middle Tennessee, and has worked in customer service for ten years. She attended Vol State and Daymar Institute as a PTA student, before joining Ghertner & Company in 2015. Connie Malone, a native of Detroit, Michigan, earned a Bachelor’s Degree in Accounting at Tennessee State University. Connie plans to resume her studies and work towards her Master’s Degree, with hopes of becoming a Certified Public Accountant. She joined Ghertner & Company in 2017. Margaret Tippitt, a graduate of Madison High School, worked in accounts payable and purchasing for over 12 years, before joining Ghertner & Company in 2017. Amy Garrison, a native of Eustis, Florida, earned a Bachelor’s Degree in both Business Management and Accounting at Western Kentucky University. Amy brings with her 7 years of experience in taxes, bookkeeping and payroll. She joined Ghertner & Company in 2017. Cory Malone is a native of Orlando, Florida, and graduated from Florida State University with a Bachelor Degree in Creative Writing. He has over five years’ experience in customer service, and joined Ghertner & Company in 2014. Angela graduated from Draughan’s College with an Associate Degree in Business. In her role as a Systems Support Analyst for over 15 years, she worked in patient accounting and technical support, including at the supervisory level. She has a strong commitment to customer service, and has received the “Doing Something Right” award in recognition. A Ghertner & Company associate since 1986, Thelma is a native of Nashville and began her career as an apartment property manager and stayed on property for 2 1/2 years and then transferred to the corporate office to manage our scattered site division until it was sold in 2002. She is currently an Administrative Assistant supporting the Community Association Management group. Eric Warren joined Ghertner & Company in 2003. He attended Olney Central College where he studied pre-Engineering and is currently working on an Engineering degree at TSU. Eric is responsible for the day-to-day Information Technology operations of the organization. He also is assigned various projects relating to computer and internet management for internal use as well as with company clients.